mouth of Chandrabhaga, the river dried. It is reduced to a dry bed or a narrow trickle. It has been an ideal place for religious activity. 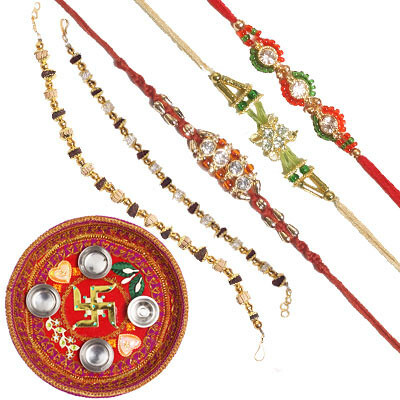 Magha Shukla Saptami, or Magha Saptami, is an auspicious day dedicated to Lord Surya, the sun god in Hinduism. 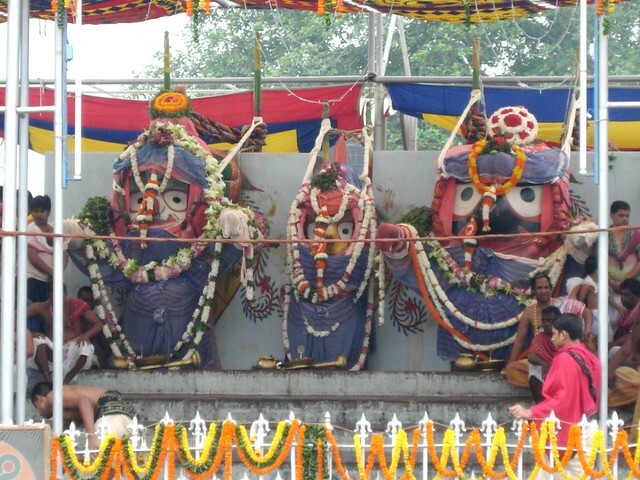 The deities are being worshiped at Konark, Chadrabhaga. 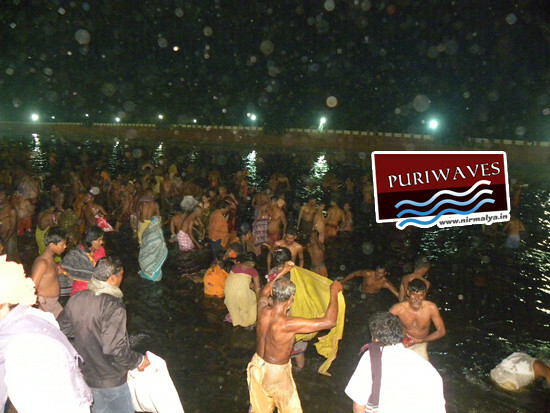 Thousands of devotees took a holy bath at the Chandrabhaga Tirtha near the Konark Sun Temple on Magha Shukla Saptami. 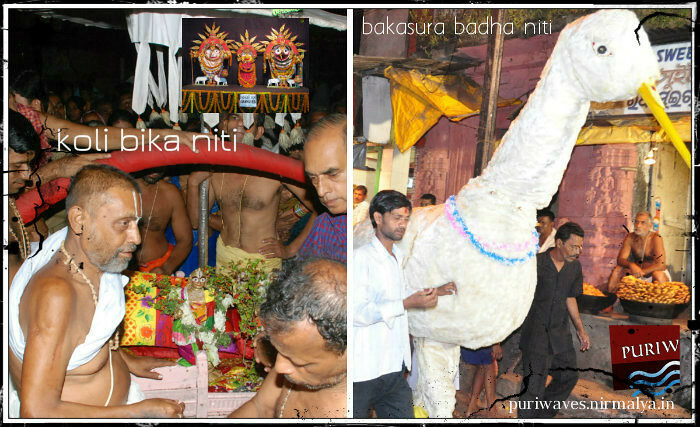 As per the current schedule ( 23 January 2018 ), Lord Tribeniswar Mahadev, Aisanyaswar Mahadev and Dakhineswar Mahadev will be offered ‘prasad’ at NAC mandap in Konark. 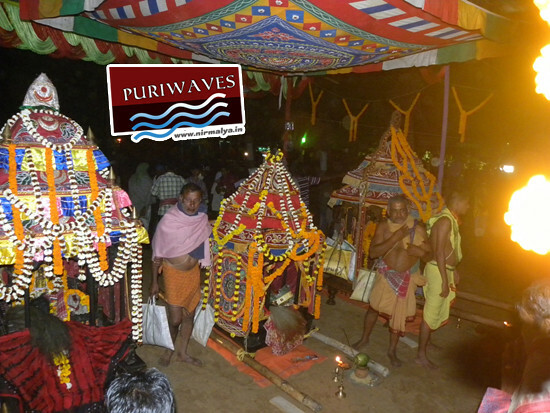 Later, the deities will proceed to Chandrabhaga Sea at 2.30 AM in a grand procession. 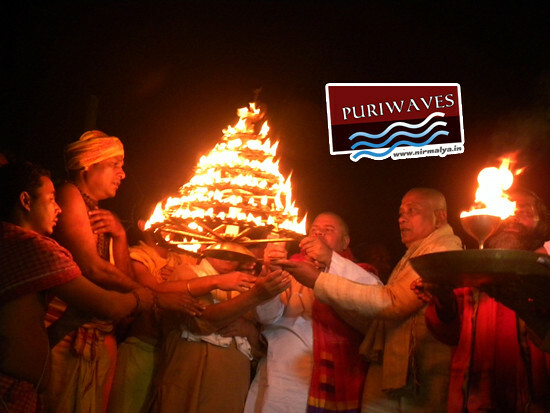 The ceremonial bath of the three deities will be conducted between 3.30 and 4 AM. 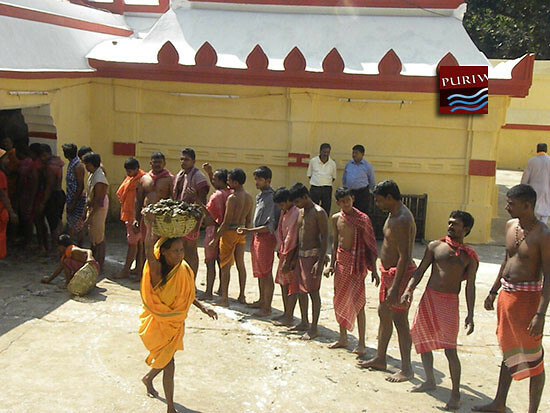 After the bathing ritual of the deities, saints will take holy dip in the Chandrabhaga Sea. 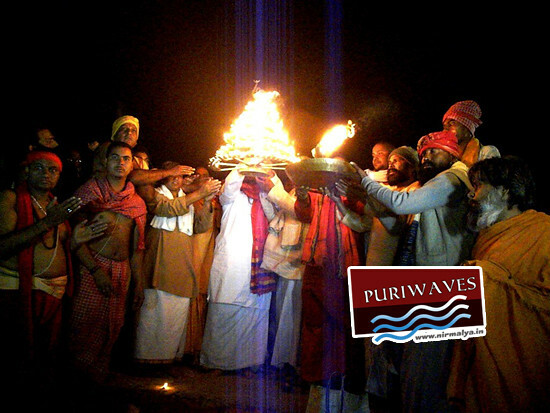 Later, the devotees will be allowed to take bath and offer prayer to Sun God.